If you looking for a way to update Galaxy S2 GT-I9100 to Android 9.0 Pie then you are in right place. Running latest version of Android offer you several additional functionality along with improved security. 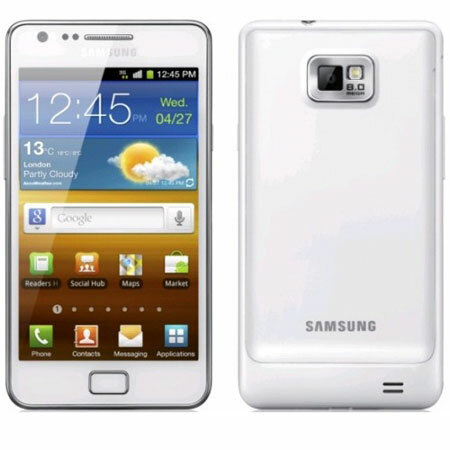 Galaxy S2 GT-I9100's hardware is capable enough to run the latest Android version which is Android 9.0 Pie. To achieve this we need to use a custom ROM LineageOS 16.0. This LineageOS 16.0 ROM is based on Android 9.0 Pie AOSP and comes with various customization. This is an unofficial version of LineageOS 16.0 which is developed by rINanDO. Galaxy S2 GT-I9100 is a very old smartphone and official updates already discontinued. The smartphone comes with a Exynos 4210 dual-core SoC. The phone offers 1 GB RAM as well as 16 GB and 32 GB internal memory variant to pick. Galaxy S2 GT-I9100 comes with Android 2.3.4 Gingerbread and can be upgraded to Android 4.1 Jelly Bean officially. Hence right now a custom ROM is the only option to enjoy the latest Android version which is Android 9.0 Pie. If all this excites you then you can follow this guide to update your Galaxy S2 GT-I9100 to latest Android 9.0 Pie via custom ROM LineageOS 16.0. Warning! We at ShizHub produce tutorial to help out fellow Android users but all this guide are educational purpose only. You should try this guide at your own risk. Neither we nor the developer should be responsible if your Android device experience damage after following this tutorial. Also remember, this guide is only applicable for Galaxy S2 GT-I9100. Don’t try this guide in any other Android device. It may hard brick your device. 3. You already have USB Driver installed for Galaxy S2 GT-I9100 in your PC. Windows OS usually download and install USB driver automatically when you connect your device first time. You can always manually download USB driver from our latest USB driver download page. If you did everything that we mentioned above then you are ready to follow step-by-step guide on how to install Android 9.0 Pie based LineageOS 16.0 ROM on Galaxy S2 GT-I9100. Copy downloaded zip files to your device MicroSD card. Boot into recovery mode. To do so, first turn off your Galaxy S2 GT-I9100 then press and hold Volume Up, Home and Power button together. You can also boot into recovery without key combination. Now install TWRP-3.1.0-EMU-MIGRATION-M-20170318.zip. To do so, Tap on Install, then browse to the location where you saved the files and tap on the TWRP-3.1.0-EMU-MIGRATION-M-20170318.zip file. Reboot in to recovery again. Now install Lanchon's repit file. To do so, Tap on Install, then browse to the location (MicroSD card) where you saved the files and tap on the lanchon-repit-20170115-system=1.5G-data=max-sdcard=min+wipe-preload=min+wipe-i9100.zip file. Don't worry when you got an error. The error instructs you to execute the repit file from /tmp which has been copied for you already. Now install Lanchon's repit file from /tmp location. Your device has now be re-partitioned and is EMPTY!! Don't reboot!! Because you have NO OS at this time!!! Delete /data/system/storage.xml via Advanced->File Manager. This is just to make sure to fully reset the storage configuration. Formatting data-partition doesn't really format, because it could contain media like your pictures and video and skips deleting other essential files including storage.xml. Finally, its time to flash the ROM file. Tap on Install, then browse to the location where you saved the files and tap on the LineageOS 16.0 zip file. Then tap on Add More Zips, and add Gapps zip. Now at the bottom of the screen, do a swipe on the Swipe to confirm flash option to begin flashing. When the installation is completed, go back to the main recovery menu and tap on Reboot and then, tap on System to reboot your Galaxy S2 GT-I9100 and boot up into Android 9.0 Pie ROM LineageOS 16.0. The first boot will take some time.